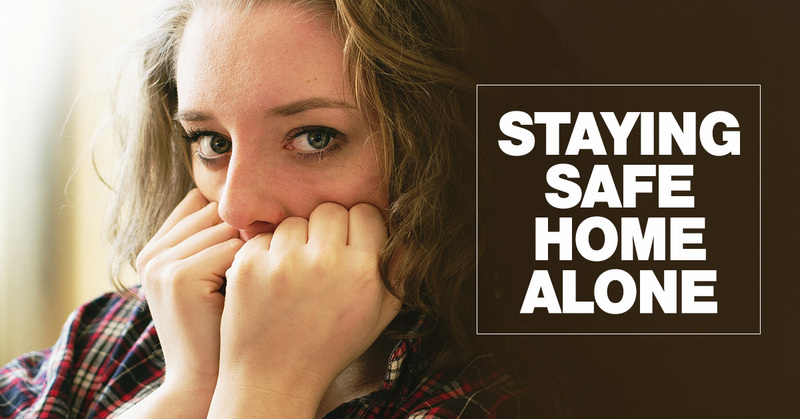 Share This With Parents and Kids: Kids are often at home alone these days, while their parents are at work or taking care of important matters. If you are old enough to be left alone, you need to be sure that you are making smart choices for yourself. Unfortunately, there are many different ways that people try to con kids in order to take advantage of them. First of all, when it comes to the kitchen, do not decide to do anything new to surprise your parents. Even though you may have good intentions, things can quickly get out of hand. Instead, you need to stick to the plan that your parents have given you regarding cooking rights. If you are allowed to cook on top of the stove, make sure that you always keep the handles pointed over the stove top somewhere and not out into the walkway. Bumping into a hot pot will not only create a huge mess, you could burn yourself or someone else this way. Another thing that you should remember is to make sure that you turn everything off when you are finished. A good way to do this is to always glance at the stove and oven controls before leaving the cooking zone. You can start making a habit of this now that will benefit you the rest of your life! Moving away from the kitchen, there are other forms of safety that you need to be aware of. For instance, you do not ever open the door for strangers. There are people who will pretend to be cops or agents of the state in order to talk you into opening the door. If you do not know a person, you are not obligated to open the door. Ask them to spell out the name of the agency and their own name. Tell them that you are going to search for their supervisors phone number via the internet and call to find out why they are there. A real police officer or other legitimate person would have no problem with you taking such a precaution. You must look up the number yourself. If they give you the phone number, it could be a person in on their scheme. Keep learning about safety for when you are home alone. Taking precautions will help to keep you safe and happy along the way. 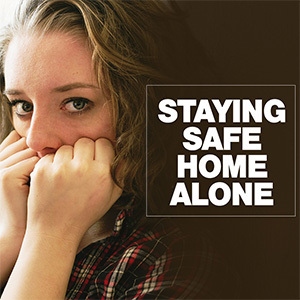 Staying-Safe-Home-Alone Kids are often at home alone these days, while their parents are at work or taking care of important matters. If you are old enough to be left alone, you need to be sure that you are making smart choices for yourself. Unfortunately, there are many different ways that people try to con kids in order to take advantage of them. First of all, when it comes to the kitchen, do not decide to do anything new to surprise your parents. Even though you may have good intentions, things can quickly get out of hand. Instead, you need to stick to the plan that your parents have given you regarding cooking rights. If you are allowed to cook on top of the stove, make sure that you always keep the handles pointed over the stove top somewhere and not out into the walkway. Bumping into a hot pot will not only create a huge mess, you could burn yourself or someone else this way. Another thing that you should remember is to make sure that you turn everything off when you are finished. A good way to do this is to always glance at the stove and oven controls before leaving the cooking zone. You can start making a habit of this now that will benefit you the rest of your life! Moving away from the kitchen, there are other forms of safety that you need to be aware of. For instance, you do not ever open the door for strangers. There are people who will pretend to be cops or agents of the state in order to talk you into opening the door. If you do not know a person, you are not obligated to open the door. Ask them to spell out the name of the agency and their own name. Tell them that you are going to search for their supervisors phone number via the internet and call to find out why they are there. A real police officer or other legitimate person would have no problem with you taking such a precaution. You must look up the number yourself. If they give you the phone number, it could be a person in on their scheme. Keep learning about safety for when you are home alone. Taking precautions will help to keep you safe and happy along the way.